The natural route is the path I’m taking for my Christmas decorating this year. I don’t want to spend money on glitzy junk that I will use for a year or two, and then give away, or deposit in the trash. 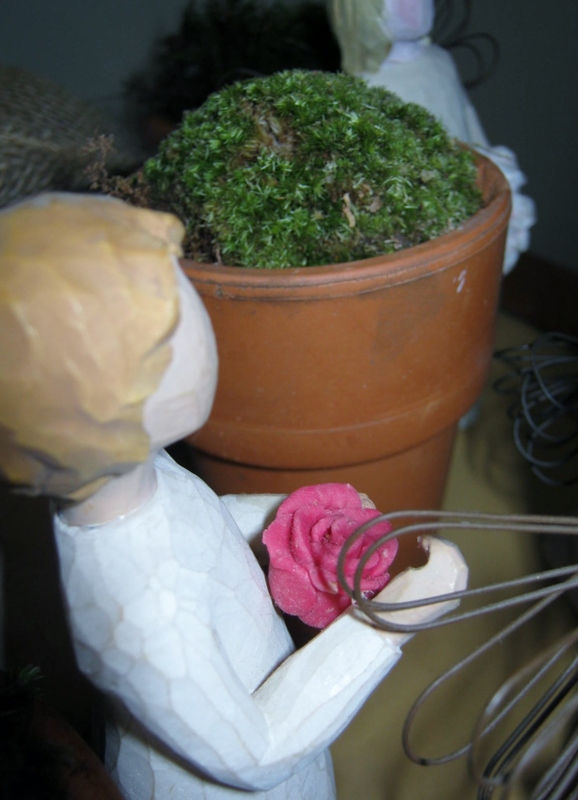 Instead, I am using a few of my collections, combined with treasured Christmas heirlooms, and adding a bit of nature to the mix. 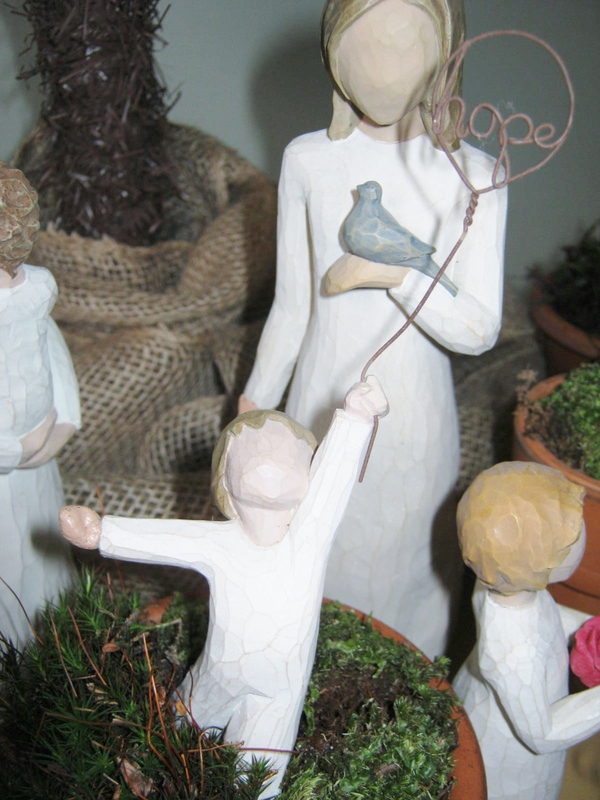 My Willow figurines are displayed on a shelf throughout the year. Why not give them a place of honor for Christmas beneath the tree? 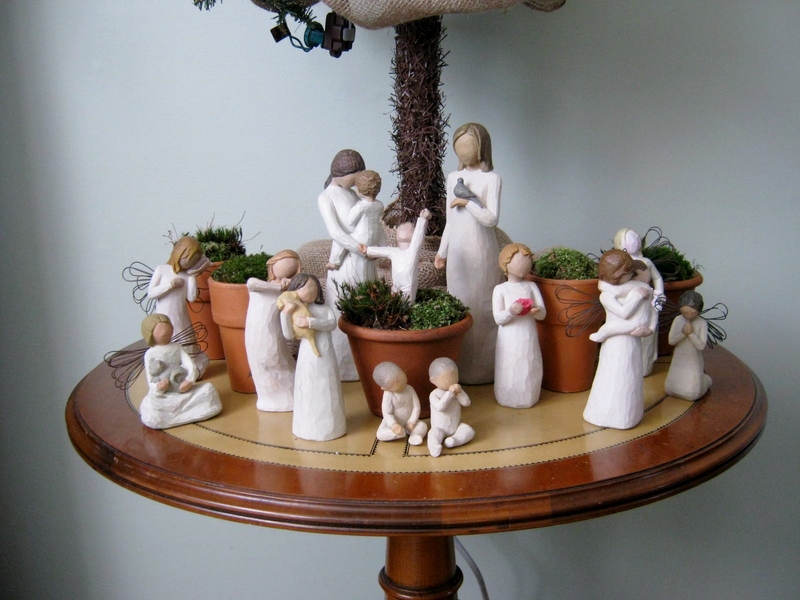 A few clay pots scattered throughout the grouping added just the right touch of “natural” to the collection. 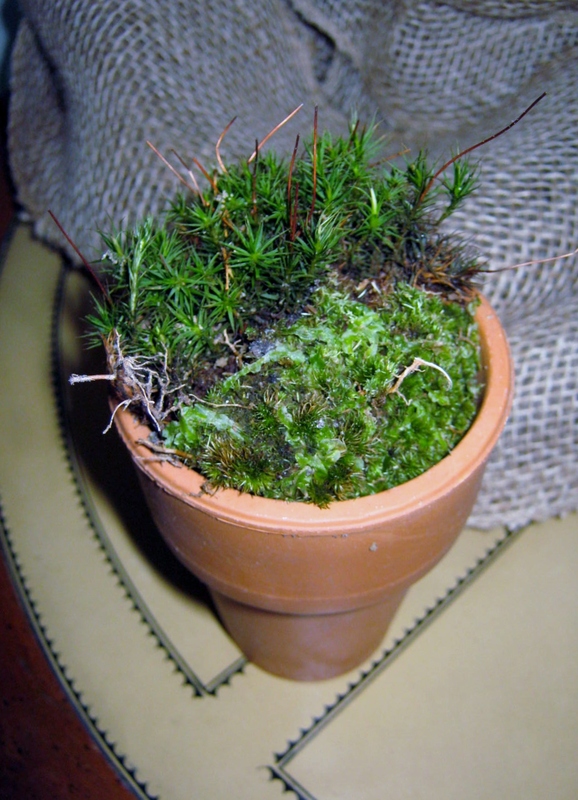 You can piece the moss in place, using many different types, or if you are lucky you might find a rounded hillock of green that will fit perfectly within the diameter of the rim. I have some pieces that would fit nicely in your vignette. I love the simplicity of the figures.